After you and your swimmer narrow down the type of college he is interested in – small vs large, urban vs rural, distance from home, climate – the next step is to begin analyzing swim programs and figuring out where you might fit in. Combining factors such as these with potential swimming programs was like a huge jigsaw puzzle. My son and I had spreadsheet upon spreadsheet analyzing event times, conference championship times, climate, urban vs rural, test scores, academic programs and on and on. It was totally overwhelming. We finally decided to take a step back and do a little soul-searching in order to focus on specific conferences and schools within them before comparing other factors. First my son had to decide where he wanted to fit on a team in terms of being a contributor from day one or growing into being one of the fastest swimmers. We looked at some web sites that compile pieces of this information and at individual college websites. It was a huge undertaking and took an enormous amount of time. (In fact, that is why I developed the College Swimming Guide and I created these spreadsheets for members). Our spreadsheet had many columns and was constantly changing as we heard of different programs and gathered new information. The questions we utilized are detailed below. One important note before we dive into the questions that can help find swim programs – the academic program at a college is the most important factor as few of our kids are going to be professional swimmers. While swimming in college is a wonderful experience, the purpose of college is to educate our children and, in most cases, they are student-athletes, not athlete-students! Where Does Your Swimmer Want To Fit As A Freshman? A swimmer can be among the fastest on the team as a freshman and set school records or he can not even make the travel squad until his junior year with a wide range in between. This decision requires the swimmer to think about what motivates him – if he sets school records as a freshman, will he have anything to work for as a sophomore? If he does not make the travel squad, will he be motivated to do his best in practice every day knowing he will not be competing in most of the meets? The only person who can truly make this decision is the swimmer himself. Where Can Your Swimmer Score in Conference Champ Meets? Most college coaches are looking for swimmers who can contribute to the team score at the conference championships. Look up the results of the conference champ meet and see if your swimmer would have made finals or been close. If they are far off the times required for finals, it may be best to look at slower conferences. If they would have won the A final as a freshman, it may be a good idea to look at faster conferences (unless the school has an academic program that is top-notch and will prepare your swimmer for the career of his dreams). Which Schools Are In The Conferences Where Your Swimmer Fits? Once you have identified some conferences that fit your swimmer well, look at the list of schools within the conferences. Sometimes your swimmer will rule some out based on location, size, climate and so forth. The remaining list is a good place to start doing some analysis. Look up the top times by event (usually found on the college athletics web site) and see where your swimmer fits in. If your swimmer’s best events are 100 and 200 breast stroke and the school lists 4 fast breaststrokers who are all freshmen, the school may not have a strong need for your swimmer. This is not a reason to rule a program out as the coach may have room to bring in extra swimmers who show potential, one of the swimmers may leave, etc. It just means this school should probably go on your “Second Tier” list for the time being. If another college has 2 fast breaststrokers who will be graduating the same year you will enter college and only 1 who will be a couple years ahead of you, chances are they may need you for your best event and you will be able to contribute to the team pretty quickly. This school would place well on your “Top Tier” list. It is important to develop a fairly large list of potential schools in the beginning as there are many swimmers competing for the same event and admissions requirements vary. Do Swimmers On The Team Improve? Depending on your swimmer’s goals, it may be important to look at whether swimmers in the program tend to improve over their four years in college. You can do this by looking at the Top Times listing for the last few years and tracking the swimmers’ performances in your swimmer’s events. Some kids swim in college for the camaraderie, the exercise, and love of the sport and are satisfied if their times remain the same or just improve slightly. Others are still training hard to achieve NCAA cuts or even Olympic Trial cuts. My son was interested in a particular program until his club swimming teammates told him no one there improves once they go to college. He looked up the Top Times and discovered that this was largely true. He knew he would not be motivated to practice every day if he was not improving so he took that school off his list. Does Your Swimmer Meet The Admissions Requirements? After developing a list of schools where your swimmer fits well in terms of swim times, it is important to see if they are likely to meet the admissions requirements. Mid range test scores are often the first place to look. If your swimmer falls within the mid-50% of test scores of accepted students, they are in a pretty good place. It they fall above this range, it obviously helps their chances of being admitted. If they are in the bottom 25%, the coach MAY be able to get them admitted but you do not want to count on that at this point. Most coaches would rather pursue swimmers who can be accepted on their own merit unless they are really a top swimmer. College teams are ranked on GPA’s of their swimmers, both within the college and conference, and nationally so they want to recruit strong students as well as strong swimmers. They are more likely to focus on a student who will raise or maintain the team GPA then one who will bring it down. Average GPA is another factor that some people look at. Frankly, it is not very consistent since high schools calculate GPA’s differently and the information is not readily available for a lot of schools. What Is The Team Emphasis on Academics? Just like coaches are concerned with the recruit’s academics, the swimmer should be concerned with the focus on academics within the team. Teams with higher GPA’s usually tell a recruit about it so if a coach does not mention it, it might be a good idea to ask! My son plans to go to graduate school so the team GPA was a big factor for him in selecting a team. If it appeared that academics were not emphasized as much or that the swimmers were not strong students, he felt that the team might not be a good match. It can be hard to be the only one needing to study a lot instead of socialize and he was afraid the coach might not be as understanding about academic conflicts. Many teams offer tutoring and other academic support for swimmers and this is important to learn about. The grueling practice schedule can make it harder to keep up with schoolwork and away meets may result in missed classes. These questions are just the tip of the iceberg in terms of analyzing swim programs to see where your swimmer fits best. Other factors include fitting in with teammates, training style, coaching style and many more. These should be considered after narrowing the list of potential schools down somewhat and will be covered in future material. Michelle Lombana is committed to helping parents like her whose children want to swim in college. When she’s not figuring out where swimmers fit into college swim programs, she can be found at www.collegeswimmingguide.com. Subscribe to get the free newsletter and learn how to prepare your swimmer to swim in college. Success! Thanks for subscribing and watch your inbox for useful tips coming soon! 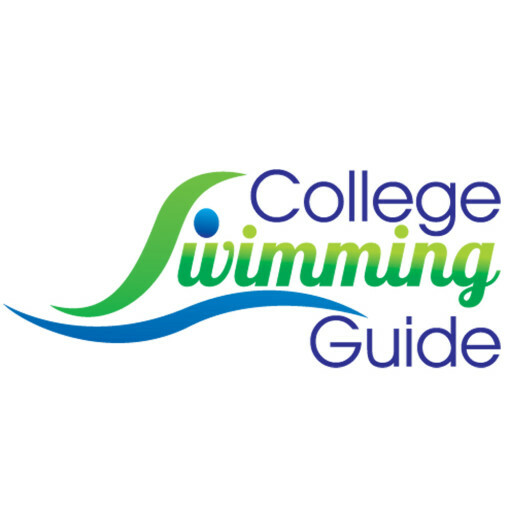 College Swimming Guide is a comprehensive guide to take you through the process of being recruited to swim in college. Beginning in high school, you and your swimmer will begin to understand the recruiting process as well as to develop a direction for your research. Quick Question Video: Which Academic Majors Are Compatible with College Swimming? Quick Question Video: How Can I Best Support My Swimmer in the Recruiting Process? Do College Swim Coaches Really Check Social Media?